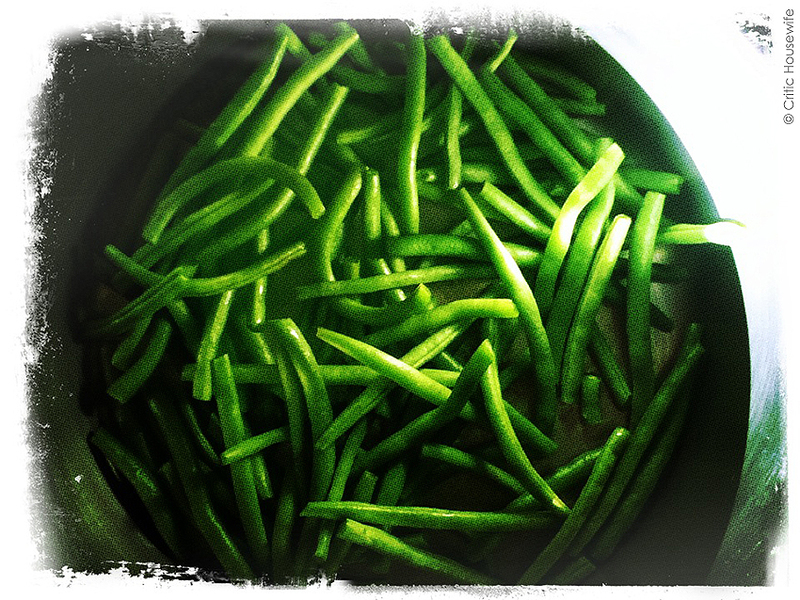 I had beautiful green beans that I was going to put into a stew. I always break each end off the green beans. 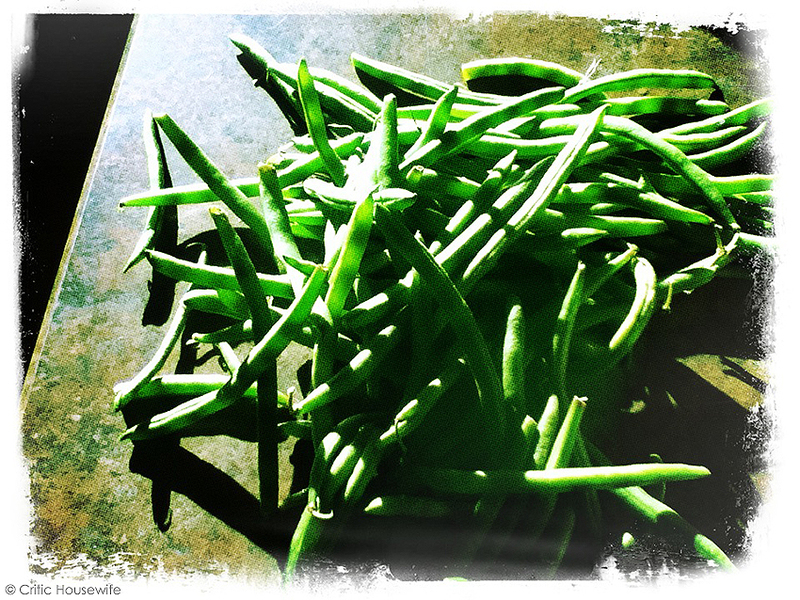 I can’t eat green beans if they have those pointy, hard edges on them. 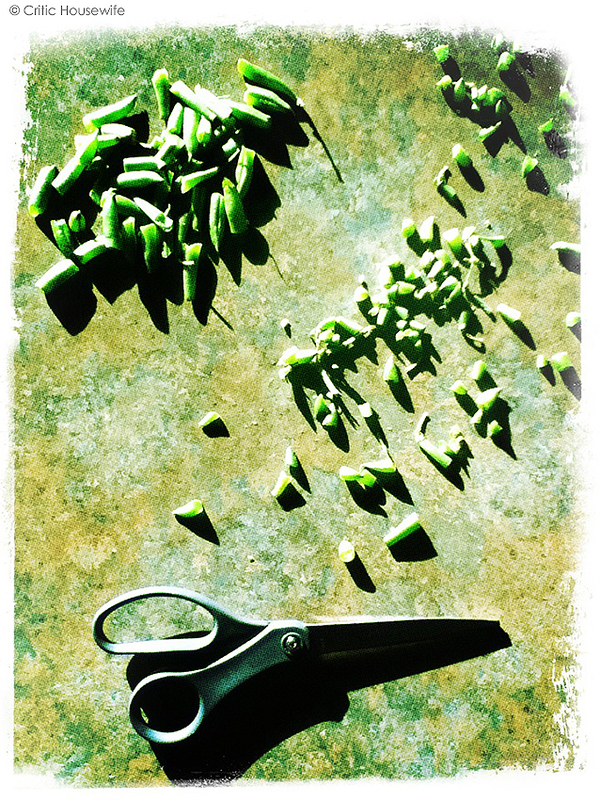 Then I realized I could salvage more bean if I cut off the ends with a scissor instead of breaking them off with my hands. The breaking off portion is in the upper left corner of the photo. The cutting is on the right. And it’s more fun to use scissors; more concise. 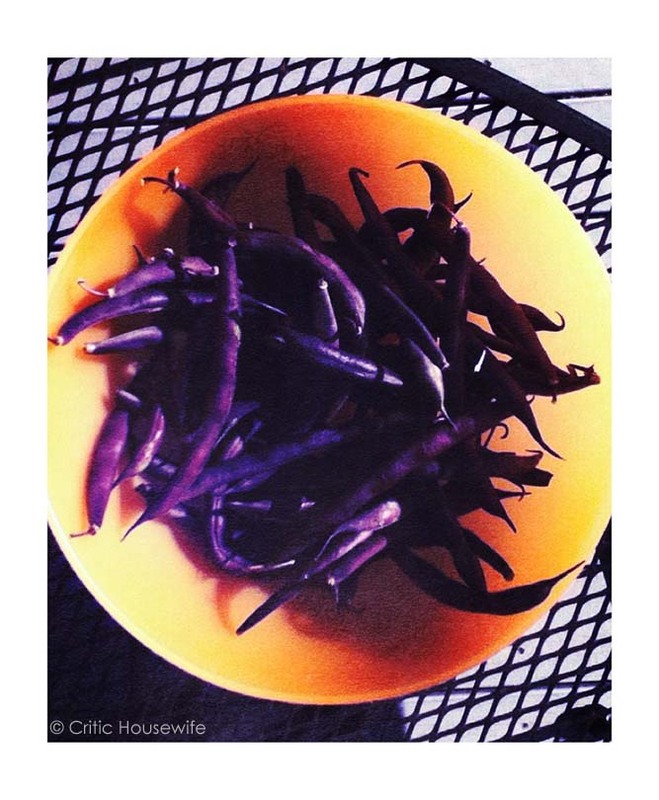 Beans ready to be cooked! This harvest was a bit better than the last one. I can make a meal out of this one! 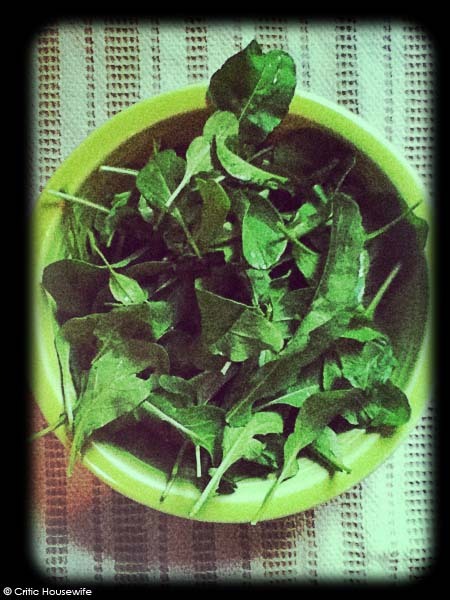 This is the first arugula I have ever grown. I planted it at the beginning of June from seeds and it came up very fast. Every day I go out and pick some for my salad. Saves me tons of money growing it myself. And it’s so delicious.